Artur Schnabel was born in Lipnik, Moravia (at the time a part of Austria) on April 17, 1882. At the age of seven, he was taken to Vienna to play for Professor Hans Schmitt (1835-1907), with whom he studied privately from 1888 to 1891. From 1891 to 1897 he studied with Theodor Leschetizky (1830-1915) and his assistant, Annette Essipoff. He received his theoretical training from Eusebius Mandyczewski (1857-1929). Schnabel made his debut in Vienna in 1890, but began his concert tours in Europe in 1896. He moved to Berlin in 1900 and made this city his home for thirty-three years. Much has been made of Leschetizky’s evaluation of his young pupil, “You will never be a pianist; you are a musician” – no doubt, in part because Schnabel so relished repeating it. In truth, Schnabel did not spring forth fully formed from Leschetizky’s studio. Numerous letters to his wife, and some early Welte-Mignon piano-roll recordings reveal that the Schnabel we know from later recordings was the product of a long maturation. Schnabel toured the provinces in the early years of his career and met the contralto Therese Behr, who was already a renowned Lieder interpreter. They married in 1905, and their partnership in Lieder recitals culminated in a historic series of Schubert programs in Berlin in 1928. Artur and Therese Schnabel had two sons, the pianist Karl Ulrich Schnabel, and the actor Stefan Schnabel, both successful artists in the USA and abroad. Until 1933 Schnabel spent much of his life in Berlin, touring Europe and the USA extensively. In 1934 he visited Palestine for the first time. He was also much sought after as a teacher. He collaborated with many of the greatest string players of his day in chamber music and formed several ensembles with Flesch and Becker, Casals, Feuermann, Fournier, Hindemith, Huberman, Szigeti and Primrose. Furthermore he performed duo music with his son Karl Ulrich Schnabel (1909-2001) at the piano. He took part in a performance of Pierrot Lunaire with the young Russian cellist Piatigorsky. His last engagement before World War II was in Australia, in 1939. He then emigrated to the United States and became a citizen in 1944. Artur Schnabel made his first tour of the United States in the 1921 – 1922 season and appeared there regularly beginning in 1936. Schnabel is best known for his dynamic interpretations and editions of Beethoven’s piano works, as well as for championing the performance of Mozart’s piano sonatas, and the (then virtually unknown) piano works of Schubert. In January and February 1927, he performed all of Beethoven’s 32 Sonatas at the Volksbühne in Berlin, a task never undertaken by any other pianist. He also performed the Sonatas from January to April 1933 at the Philharmonie in Berlin. He eventually made records of all 32 Beethoven sonatas, the five Concertos, the Diabelli Variations, as well as large portions of the oeuvres of Schubert, Mozart, Bach and Brahms. For Schnabel, the task of the musician could not be satisfied by playing alone: composing and teaching were just as important. He was a professor at the Berlin University for Music from 1925 to 1933. After 1933 he gave summer master classes at Lake Como, Italy, and taught extensively in the United States. His students included Clifford Curzon, Rudolf Firkušný, Lili Kraus, Leonard Shure, Claude Frank, and Leon Fleisher. Early in his career, Schnabel composed a concerto in the romantic style for himself to play, as well as several song cycles to perform with Therese Behr. The pieces were well received, but Schnabel insisted on abandoning them when he became convinced that the musical idiom of the future was atonality. In this later style – influenced by, but not copied from Arnold Schönberg – he composed three symphonies, a piano quintet, five string quartets, a string trio, as well as sonatas for violin solo, ‘cello solo, and piano solo, among other works. 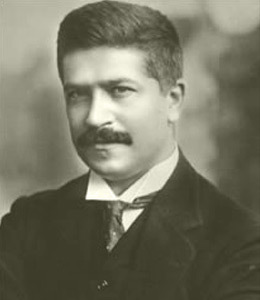 Artur Schnabel received an Honorary Title of Professor of Music by the Prussian State in 1919 and an Honorary Title of Doctor of Music from the University of Manchester, England, in 1933. His writings include Reflections on Music (1934) and Music and the Line of Most Resistance (Princeton, NJ, 1942, expanded Wolke Verlag 2007). My Life and Music, newly expanded edition published as Music, Wit, and Wisdom, containing twelve autobiographical speeches addressed to music students at the University of Chicago, was published in 1961. Wolke Verlag in Germany carries a whole series of books on Artur Schnabel, published by the Archives in Berlin. German translations of Music, Wit, and Wisdom as well as Music and the Line of Most Resistance are also available at Wolke Verlag. When the Nazis came to power in 1933, Artur Schnabel emigrated together with his family, first to Italy, then to the USA, where he became a naturalized citizen in 1944. He died in Axenstein, Switzerland, in 1951.